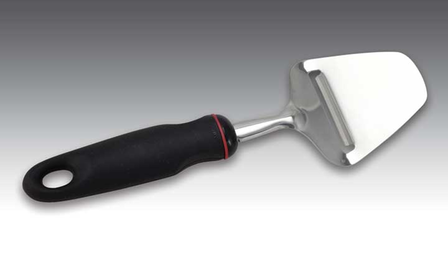 Classic cheese slicer has an EZ Grip non-slip handle. 9” long, 3” blade, cutting edge is 2-1/4” wide. Service Area: New Glarus, Beloit, Freeport, Loves Park, Machesney Park, Middleton, Stoughton, Whitewater, Fort Atkinson, Platteville, De Forest and surrounding communities.